Bravo Border Collies welcomes you. We are very proud of our dogs and we would like to share our enjoyment with you. We are located in Los Angeles County 1 hour drive from Los Angeles. 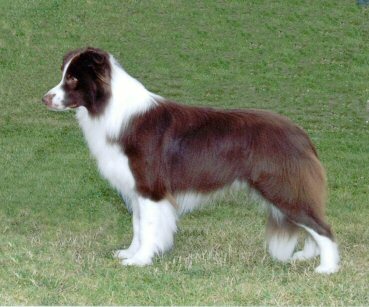 We train our dogs for, herding and we show them at conformation shows. It is most rewarding to work with this breed. You see results right away and it is so pleasing to see the speed in which they learn new commands/tricks. Border Collies have changed my life. I was and still am in awe with the amount of expression and intelligence these dogs have. This is a breed that will get in your heart and soul like no other. I have been very fortunate to have made some truly wonderful friends, like Carla Popeney from Blackwatch BC kennels and Joyce Herrie from Westerness kennels. I have had excellent mentors to guide me along the way. I hope to return their kindness by educating others new to the breed as they have done for me. Please do some research before deciding if a Border Collie is the right breed for you. They are not a breed for everyone. They are a herding breed and are used to having a job in life. They need a minimum of 1 hour exercise a day. Just running around the back yard doesn't count. They are happiest when given something to do and constantly learning new things. Border Collies need to have their mind exercised as well as their bodies. This breed will not be happy living in an apartament. Our dogs' hips are always OFA and Eye CERF normal. . We take pride in our bloodlines, breed only healthy dogs and produce gorgeous puppies. 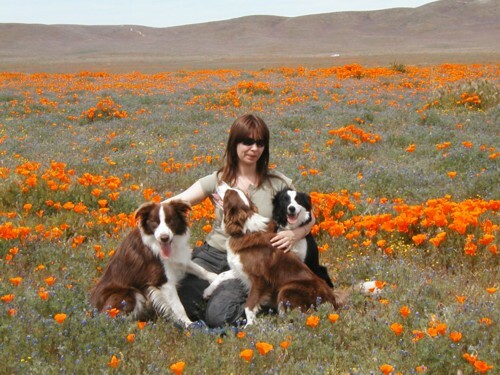 Our dogs are bred for herding, agility, conformation, obedience and overall anjoyable pets. Our dogs are of English/Scotish/Irish/American lines and some Australian lines as well. They are the true working type dogs. They are not just beautiful creatures, they are highly motivated working dogs that are full of enthusiasm to please and are always on the go for more tasks.